Rachel - Awwww she’s beautiful! Gorgeous photos and I love the parent shots too. They’ll always treasure these! 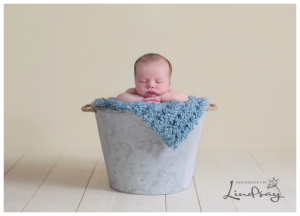 Candy Hoehn - What gorgeous newborn photos! Martinsburg, WV is so lucky to have you as a newborn photographer. Heather Armijo - Adorable newborn session! Mom looks gorgeous! Jackie - What a beautiful baby girl & family! Chantal - Such a cute family!! Kate - Ohhhh! Look how sweet he is!!!! Great work, and EXCELLENT points about safety! Debbie M - I love sleeping baby photos! Chantal - What an adorable little one!! Jackie - …I can’t say it enough, these families are SO Blessed to have found you and your heartfelt, real talent!! 🙂 I am so proud to be your friend!! heather - I LOVE you valentine’s mini set-up! You sure captured some adorable pictures of the children! Candy Hoehn - These valentine day mini set ups are so cute!!! Giving me some cool ideas! Beth Ann - The kids are adorable and I love your Valentine’s Day setups. How creative! Brianna - I’m dying! Photographer’s children are the WORST clients ever! Beth Ann - Umm.. this post is awesome! I’m pretty sure my kids have photographer child’s syndrome. Chantal - I love this post and your photos are so GREAT! Kristy Mutchler - What a hilarious post! My daughter has PCS too!!! I love the photo of your girls in the flowers! Stunning!!!! Judy Gray - I love, love, LOVE your article on PCS! It is sooo true. I got my first DSLR so I could get better photos of my beautiful granddaughter. Since this time, I have more picture of the back of her hand than anything else. Thanks for your great and witty sense of humor! Effie L. - Absolutely adorable! I love the contrast of the owl hat with the fur textures! Parents must be over the moon with these! Shuanna - Baby Easton is beautiful! I know his parents are proud. You did an amazing job capturing these. Nichole L. - He is absolutely adorable! Great job. Katherine - Love these precious images! That sleeping smile image is too cute! Well done!